Let’s check out this new box of literary miscellany. The Pride & Prejudice blend tea from First Edition Tea Co. Interested? 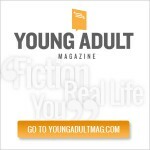 You to can subscribe and get bookish accoutrements delivered to your home. Interested? You can subscribe and get similar goodies every 3 months! 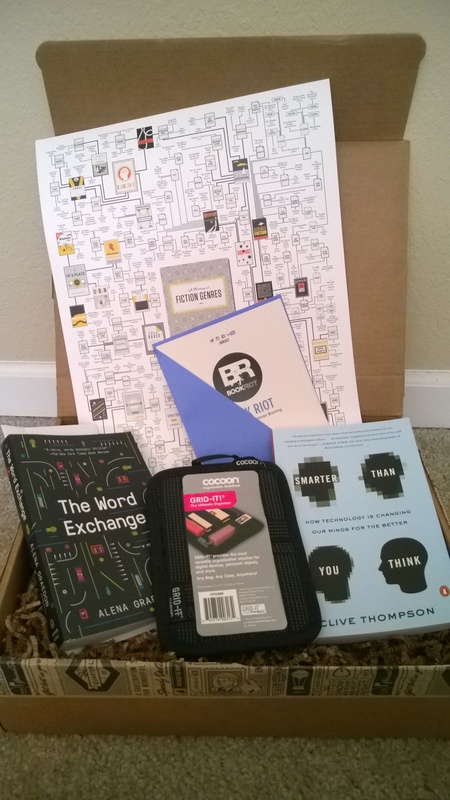 It’s that time again… time to look at another box of goodies from Book Riot & Quarterly Co.
You can subscribe to get your own box at https://quarterly.co/products/book-riot and then you would be learning awesome new words, too! Skippy Dies by Paul Murray – This novel opens with 14-year-old Skippy dying and then flashes back and forth to show life at Skippy’s Dublin boarding school. On Beauty by Zadie Smith – I’ve heard many good things about this novel featuring an interracial family from England having to deal with life in a small college town in Massachusetts. Custom Books Pennant – A Book Riot colored felt pennant which I, of course, promptly attached to my bookshelf. 3-Pack of Original Field Notes Notebooks – 3 pocket-sized notebooks for all your note-taking needs. Read Harder Custom Koozie – For the frosty beverage of your choice when you are reading. Time to un-box another round of goodies from Book Riot’s Quarterly Box. The Word Exchange by Alena Graedon: A near-ish future cyberpunk novel where handheld technology has replaced all printed word. A few brave word lovers are trying to finish the final edition of the North American Dictionary when their editor goes missing. The box also contains a special note written by the author detailing some events after the end of the book. Smarter Than You Think by Clive Thompson: A book that provides a counterargument to the notion that the internet is ruining civilization. It details how technology allows us to think more creatively and be more connected. Pop Chart Lab Literary Genres Map: A flow chart showing the distinctions between different literary genres. So I can finally figure out the difference between apocalyptic, post-apocalyptic and dystopian science fiction. As always, you can go to https://quarterly.co/products/book-riot to sign up for your own Book Riot Quarterly Box!